Thank you for making 2015 a great year so far! We look forward to keep it going as we’re in the home stretch. As we look to welcoming in the new year, we’re going to be taking a short break during the holidays for our staff to be with family. Then we will have limited customer service available during the last week of the year as we are shutting down our warehouse for maintenance and inventory. We will close December 23 and reopen January 4. During that time we will have limited phone, direct email and online chat customer service and we will not be shipping any orders. Customer service tickets submitted via support.spa-mart.com will be answered as needed. Thanks again for your business and, as always, we continue to look forward to serving you. This entry was posted in Uncategorized on December 10, 2015 by admin. Happy President’s Day! We had planned on operating normal business hours today. However, due to unsafe weather conditions in the Cincinnati area, we have asked our staff to stay home and enjoy an extended weekend rather than brave the treacherous roads. Our plan is to be back into the office tomorrow. We sincerely apologize for any inconvenience. Starting January 1, 2015, both FedEx and UPS are switching over to a dimensional pricing model instead of the current price by weight system on all box sizes. Previously, dimensional pricing only kicked in on boxes that exceeded 3 cubic feet which is pretty big. What does this mean for you and America’s SPA-MART? Unfortunately, we will have to raise our prices on items that don’t weigh a whole lot yet need to ship in a larger box. This primarily means the filters for pools, spas and hot tubs that we sell. The increases will vary due to filters being different sizes, however one thing is certain. Prices are going up soon. With that being said, we encourage you to stock up and beat the price increase. We are fully stocked and ready to serve you. We appreciate your loyal patronage with your pool and spa supply business and we wanted to give you a head’s up before the increase goes into effect. This entry was posted in Spa Filters, Uncategorized and tagged Pleatco, Spa Filters on December 18, 2014 by admin. 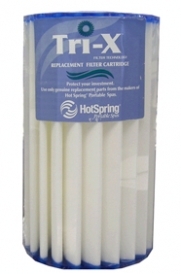 Attention Hot Spring, Tiger River and Hot Spot Spa Owners: We’ve got two of the most popular genuine Watkins replacement supplies for you! Now you can find the Freshwater Ag+ Cartridge and Tri-X filters right here at America’s SPA-MART. Most owners of one of these tubs knows that the Freshwater Ag+ Continuous Silver Ion Sanitizer is a great way to get your water clean and clear while reducing the need to add as much chlorine to your hot tub. We can hardly keep these in stock, so we know you love them. 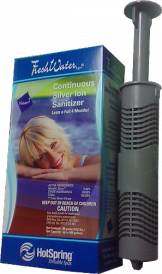 If you’re unaware of this product, it introduces silver ions into the water that inhibit bacteria growth. When installed, the Freshwater Ag+ cartridge charges the water with its ions with a charge that lasts 3-4 months depending on how often you use your tub. Prices start at $27.95 for this must-have product, but you can get yours as low $24.60 when you buy some extras for your buddies or just to put on the shelf and save for later. Tri-X Filters for Watkins manufactured tubs are another great way to get the maximum value from your magnificently-engineered hot tub. The genuine Hot Spring-brand Tri-X filter is three-dimensional. Traditional filters rely upon the paper media to catch particulates in a single pass. The Tri-X filter not only filters by using the element’s surface area, it also uses the media’s depth (third dimension). Because it filters by depth rather than just surface filtration, Tri-X filters ten times more gallons per square foot than other filters and it provides over twice (65 sq. ft.) the filtration area of a standard (30 sq. ft.) filter. The Tri-X filter is made to last at least 5 years! 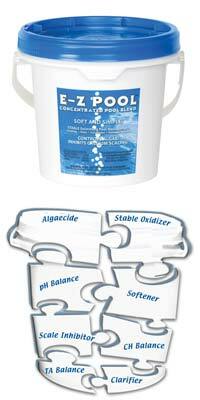 This filter works in any spa that takes the #71825 Hot Spring Filter (Unicel C-6430/Pleatco PWK30). Hot Spot Round & Square 1998+ #31489; Grandee, Highlife, Classic 1990+, Sovereign 1991+, Prodigy 1990+, Jetsetter 1990+, Landmark, Summit. Check out all of our spa covers, filters and other products for Hot Spring Spas. This entry was posted in Hot Spring, Spa Filters and tagged 00NN1241, Freshwater Ag+, HS73178, Tri-X on May 25, 2013 by admin. Spring has sprung and it’s time to update that eyesore of a hot tub cover you currently have. We’ve revamped our product lineup and put our various models on sale to coincide with our new website so take another look. Our current sale prices and promotions change often. Now is the best time to take advantage of our NEWHOME coupon with which you get $10 off any order over $125, including spa covers! Coupon code expires May 30, 2013. Don’t delay. We get quite busy building hot tub covers and our current coupon code doesn’t last forever. Visit our spa covers information page to find out more. This entry was posted in Coupon Codes, Sale Items, Spa Covers and tagged Coupon, Sale, Spa Covers on May 4, 2013 by admin. New Look. Same Great Service. If you’ve shopped with us before last Friday, you may notice that we changed up our look a bit. Like a whole lot. New logo (though it’s been on our boxes for over a year), new site, refresh to our customer service portal. We’ve done a lot to update our look and we hope you like it. Feel free to drop us a line and let us know what you think. Also, if you find something that doesn’t quite work the way it’s supposed to we’d appreciate you letting us know that too. Thanks and we appreciate you shopping with us. 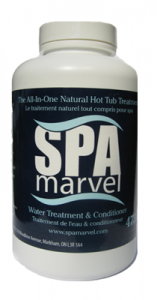 This entry was posted in Uncategorized and tagged New Website, SPA-MART.com on May 4, 2013 by admin.